Any vacuum tube which operates using a focused beam of electrons, "cathode rays", is known as a cathode ray tube (CRT). These are usually seen as display devices as used in television receivers and computer displays. The camera pickup tubes described in this article are also CRTs, but they display no image. In a letter to Nature published in October 1926, Campbell-Swinton also announced the results of some "not very successful experiments" he had conducted with G. M. Minchin and J. C. M. Stanton. They had attempted to generate an electrical signal by projecting an image onto a selenium-coated metal plate that was simultaneously scanned by a cathode ray beam. These experiments were conducted before March 1914, when Minchin died, but they were later repeated by two different teams in 1937, by H. Miller and J. W. Strange from EMI, and by H. Iams and A. Rose from RCA. Both teams succeeded in transmitting "very faint" images with the original Campbell-Swinton's selenium-coated plate, but much better images were obtained when the metal plate was covered with zinc sulphide or selenide, or with aluminum or zirconium oxide treated with caesium. These experiments are the base of the future vidicon. A description of a CRT imaging device also appeared in a patent application filed by Edvard-Gustav Schoultz in France in August 1921, and published in 1922, although a working device was not demonstrated until some years later. The first practical iconoscope was constructed in 1931 by Sanford Essig, when he accidentally left a silvered mica sheet in the oven too long. Upon examination with a microscope, he noticed that the silver layer had broken up into a myriad of tiny isolated silver globules. He also noticed that, "the tiny dimension of the silver droplets would enhance the image resolution of the iconoscope by a quantum leap." As head of television development at Radio Corporation of America (RCA), Zworykin submitted a patent application in November 1931, and it was issued in 1935. Nevertheless, Zworykin's team was not the only engineering group working on devices that used a charge stage plate. In 1932, the EMI engineers Tedham and McGee under the supervision of Isaac Shoenberg applied for a patent for a new device they dubbed the "Emitron". A 405-line broadcasting service employing the Emitron began at studios in Alexandra Palace in 1936, and patents were issued in the United Kingdom in 1934 and in the USA in 1937. The super-Emitron was between ten and fifteen times more sensitive than the original Emitron and iconoscope tubes and, in some cases, this ratio was considerably greater. It was used for an outside broadcasting by the BBC, for the first time, on Armistice Day 1937, when the general public could watch in a television set how the King lay a wreath at the Cenotaph. This was the first time that anyone could broadcast a live street scene from cameras installed on the roof of neighbor buildings. The image orthicon, (sometimes abbreviated IO) was common in American broadcasting from 1946 until 1968. A combination of the image dissector and the orthicon technologies, it replaced the iconoscope in the USA, which required a great deal of light to work adequately. 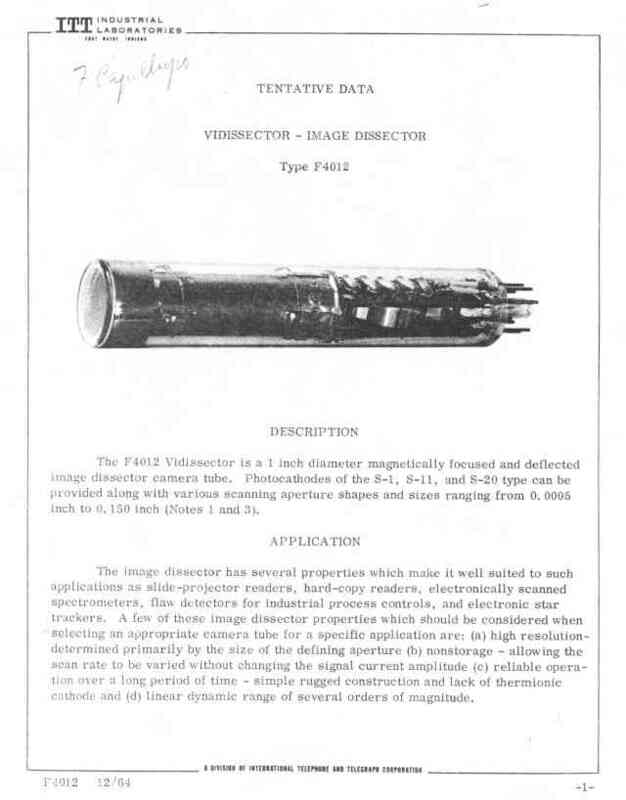 The vidicon is a storage-type camera tube in which a charge-density pattern is formed by the imaged scene radiation on a photoconductive surface which is then scanned by a beam of low-velocity electrons. The fluctuating voltage coupled out to a video amplifier can be used to reproduce the scene being imaged. The electrical charge produced by an image will remain in the face plate until it is scanned or until the charge dissipates. Pyroelectric photocathodes can be used to produce a vidicon sensitive over a broad portion of the infrared spectrum. Prior to the design and construction of the Galileo probe to Jupiter in the late 1970s to early 1980s, NASA used Vidicon cameras on nearly all the unmanned deep space probes equipped with the remote sensing ability. Vidicon tubes were also used aboard the first three Landsat earth imaging satellites launched in 1972, as part of each spacecraft's Return Beam Vidicon (RBV) imaging system. Plumbicon is a registered trademark of Philips for its lead(II) oxide (PbO) target vidicons. Used frequently in broadcast camera applications, these tubes have low output, but a high signal-to-noise ratio. They had excellent resolution compared to Image Orthicons, but lacked the artificially sharp edges of IO tubes, which caused some of the viewing audience to perceive them as softer. CBS Labs invented the first outboard edge enhancement circuits to sharpen the edges of Plumbicon generated images. Compared to Saticons, Plumbicons had much higher resistance to burn-in, and comet and trailing artifacts from bright lights in the shot. Saticons though, usually had slightly higher resolution. 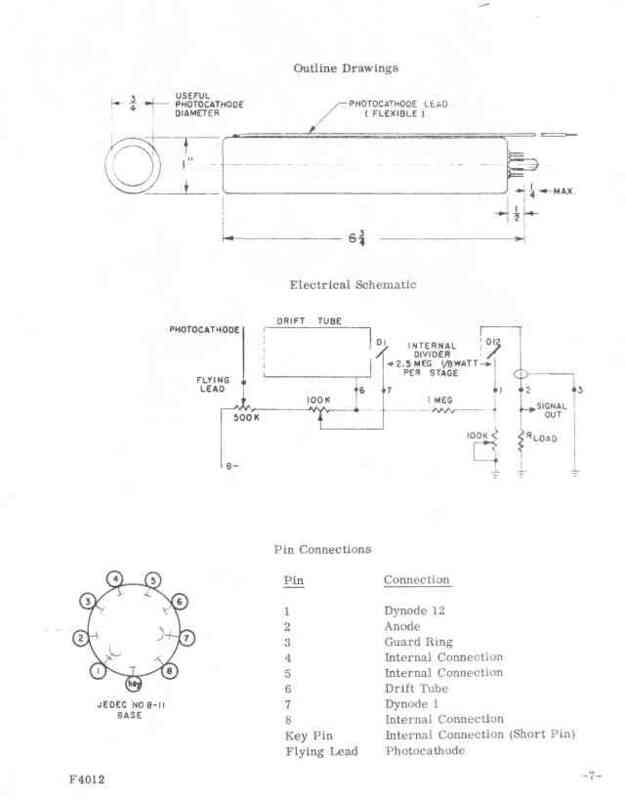 After 1980, and the introduction of the diode-gun Plumbicon tube, the resolution of both types was so high, compared to the maximum limits of the broadcasting standard, that the Saticon's resolution advantage became moot. While broadcast cameras migrated to solid-state charge-coupled devices, Plumbicon tubes remained a staple imaging device in the medical field. Early color cameras used the obvious technique of using separate red, green and blue image tubes in conjunction with a color separator, a technique still in use with 3CCD solid state cameras today. It was also possible to construct a color camera that used a single image tube. One technique has already been described (Trinicon above). A more common technique and a simpler one from the tube construction standpoint was to overlay the photosensitive target with a color striped filter having a fine pattern of vertical stripes of green, cyan and clear filters (i.e. Green; Green+Blue & Green+Blue+Red) repeating across the target. The advantage of this arrangement was that for virtually every color, the video level of the green component was always less than the cyan, and similarly the cyan was always less than the white. Thus the contributing images could be separated without any reference electrodes in the tube. If the three levels were the same, then that part of the scene was green. This method suffered from the disadvantage that the light levels under the three filters were almost certain to be different, with the green filter passing not more than one third of the available light. During the 1930s and 1940s, field-sequential color systems were developed which used synchronized motor-driven color-filter disks at the camera's image tube and at the television receiver. Each disk consisted of red, blue, and green transparent color filters. In the camera, the disk was in the optical path, and in the receiver, it was in front of the CRT. Disk rotation was synchronized with vertical scanning so that each vertical scan in sequence was for a different primary color. This method allowed regular black-and-white image tubes and CRTs to generate and display color images. A field-sequential system developed by Peter Goldmark for CBS was demonstrated to the press on September 4, 1940, and was first shown to the general public on January 12, 1950. Guillermo González Camarena independently developed a field-sequential color disk system in Mexico in the early 1940s, for which he requested a patent in Mexico on August 19 of 1940 and in the USA in 1941. Gonzalez Camarena produced his color television system in his laboratory Gon-Cam for the Mexican market and exported it to the Columbia College of Chicago, who regarded it as the best system in the world. ↑ "Cathode-ray tube." McGraw-Hill Concise Encyclopedia of Science & Technology. Third Ed., Sybil P. Parker, ed., McGraw-Hill, Inc., 1992, pp. 332-333. ↑ Campbell-Swinton, A. A. (1908-06-18). "Distant Electric Vision (first paragraph)". Nature. 78 (2016): 151. Bibcode:1908Natur..78..151S. doi:10.1038/078151a0. ↑ Campbell-Swinton, A. A. (1908-06-18). 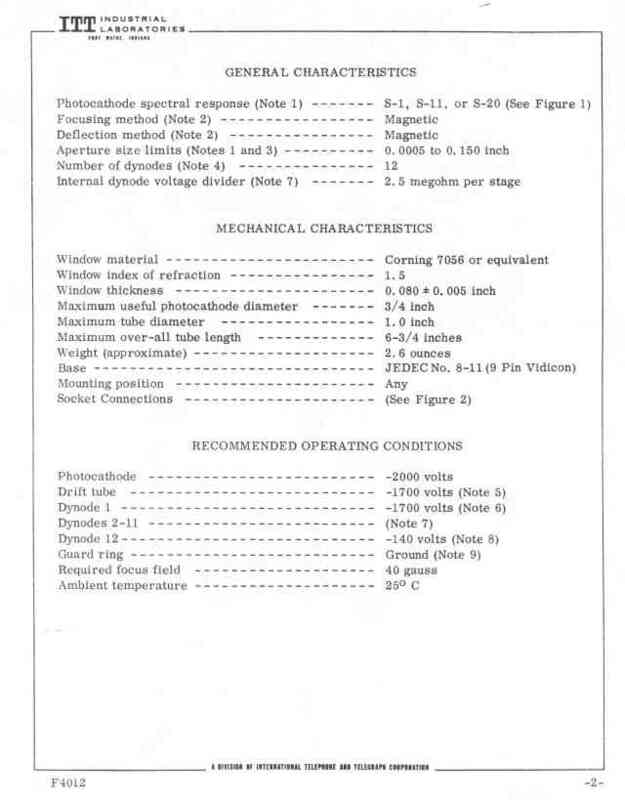 "Distant Electric Vision (pdf)" (PDF). Nature. 78 (2016): 151. Bibcode:1908Natur..78..151S. doi:10.1038/078151a0. ↑ Max Dieckmann (1909-07-24). "The problem of television, a partial solution" (PDF). Scientific American, Supplement 1909. 68: 61–62. doi:10.1038/scientificamerican07241909-61supp. ↑ Albert Abramson (1955). Electronic Motion Pictures. University of California Press. p. 31. ↑ Alexander B. Magoun (2007). Television: the life story of a technology. Greenwood Publishing Group,. p. 12. ISBN 978-0-313-33128-2. ↑ Jr. Raymond C. Watson (2009). Radar Origins Worldwide: History of Its Evolution in 13 Nations Through World War II. Trafford Publishing. p. 26. ISBN 978-1-4269-2110-0. ↑ David Sarnoff Collection. "Television, David Sarnoff Library". Biography. Retrieved 2011-07-20. ↑ Campbell-Swinton, A. A. (1926-10-23). "Electric Television (abstract)". Nature. 118 (2973): 590. Bibcode:1926Natur.118..590S. doi:10.1038/118590a0. ↑ Burns, R. W. (1998). Television: An International History of the Formative Years. The Institute of Electrical Engineers in association with The Science Museum. p. 123. ISBN 978-0-85296-914-4. ↑ News (1914-04-02). "Prof. G. M. Minchin, F.R.S." Nature. 93 (2318): 115–116. Bibcode:1914Natur..93..115R. doi:10.1038/093115a0. 1 2 Miller, H. & Strange. J. W. (1938-05-02). "The electrical reproduction of images by the photoconductive effect". Proceedings of the Physical Society. 50 (3): 374–384. Bibcode:1938PPS....50..374M. doi:10.1088/0959-5309/50/3/307. 1 2 3 Iams, H. & Rose, A. (August 1937). "Television Pickup Tubes with Cathode-Ray Beam Scanning". Proceedings of the Institute of Radio Engineers. 25 (8): 1048–1070. doi:10.1109/JRPROC.1937.228423. ↑ Schoultz, Edvard-Gustav; (filed 1921, patented 1922). "Procédé et appareillage pour la transmission des images mobiles à distance". Patent No. FR 539,613. Office National de la Propriété industrielle. Retrieved 2009-07-28. 1 2 Horowitz, Paul and Winfield Hill, The Art of Electronics, Second Edition, Cambridge University Press, 1989, pp. 1000-1001. ISBN 0-521-37095-7. 1 2 3 Jack, Keith & Vladimir Tsatsulin (2002). Dictionary of Video and Television Technology. Gulf Professional Publishing. p. 148. ISBN 978-1-878707-99-4. 1 2 3 Burns, R. W. (1998). Television: An International History of the Formative Years. The Institute of Electrical Engineers in association with The Science Museum. pp. 358–361. ISBN 978-0-85296-914-4. 1 2 Webb, Richard C. (2005). Tele-visionaries: the People Behind the Invention of Television. John Wiley and Sons. p. 30. ISBN 978-0-471-71156-8. ↑ Brittain, B. J. (September 1928). "Television on the Continent". Discovery: a monthly popular journal of knowledge. John Murray. 8 (September): 283–285. ↑ Hartley, John (1999). Uses of television. Routledge. p. 72. ISBN 978-0-415-08509-0. ↑ Dieckmann, Max (May 1928). "Cathode Ray Television". Popular Radio. 1928 (May): 397 and 406. ↑ Postman, Neil (1999-03-29). "Philo Farnsworth". The TIME 100: Scientists & Thinkers. TIME.com. Retrieved 2009-07-28. ↑ Farnsworth, Elma, Distant Vision: Romance and Discovery on an Invisible Frontier, Salt Lake City, PemberlyKent, 1989, pp. 108-109. ↑ "Philo Taylor Farnsworth (1906–1971)". The Virtual Museum of the City of San Francisco. Archived from the original on June 22, 2011. Retrieved 2009-07-15. ↑ Farnsworth, Philo T.; (filed 1933, patented 1937). "Electron Multiplying Device". Patent No. 2,071,515. United States Patent Office. Retrieved 2010-02-22. ↑ Farnsworth, Philo T.; (filed 1935, patented 1937). "Multipactor Phase Control". Patent No. 2,071,517. United States Patent Office. Retrieved 2010-02-22. ↑ Farnsworth, Philo T.; (filed 1937, patented 1939). "Two-stage Electron Multiplier". Patent No. 2,161,620. United States Patent Office. Retrieved 2010-02-22. ↑ Gardner, Bernard C.; (filed 1937, patented 1940). "Image Analyzing and Dissecting Tube". Patent No. 2,200,166. United States Patent Office. Retrieved 2010-02-22. ↑ Abramson, Albert (1987), The History of Television, 1880 to 1941. Jefferson, NC: Albert Abramson. p. 159. ISBN 0-89950-284-9. ↑ ITT Industrial Laboratories. (December 1964). "Vidissector - Image Dissector, page 1". Tentative Data-sheet. ITT. Archived from the original on 2010-09-15. Retrieved 2010-02-22. ↑ ITT Industrial Laboratories. (December 1964). "Vidissector - Image Dissector, page 2". Tentative Data-sheet. ITT. Archived from the original on 2010-09-15. Retrieved 2010-02-22. ↑ ITT Industrial Laboratories. (December 1964). "Vidissector - Image Dissector, page 3". Tentative Data-sheet. ITT. Archived from the original on 2010-09-15. Retrieved 2010-02-22. 1 2 Schatzkin, Paul. "The Farnsworth Chronicles, Who Invented What -- and When??". Retrieved 2010-01-10. 1 2 3 Abramson, Albert (1995). Zworykin, pioneer of television. University of Illinois Press. p. 282. ISBN 978-0-252-02104-6. Retrieved 2010-01-18. 1 2 3 Rose, Albert & Iams, Harley A. (September 1939). Television Pickup Tubes Using Low-Velocity Electron-Beam Scanning. Proceedings of the IRE, volume 27, issue 9. pp. 547–555. Retrieved 2010-01-17. 1 2 Zworykin, V. K.; (filed 1931, patented 1935). "Method of and Apparatus for Producing Images of Objects". Patent No. 2,021,907. United States Patent Office. Retrieved 2010-01-10. ↑ "Kálmán Tihanyi's 1926 Patent Application 'Radioskop'", Memory of the World, United Nations Educational, Scientific and Cultural Organization (UNESCO), 2005, retrieved 2009-01-29. ↑ Magoun, Alexander B.; Cody, George (2006). "Vladimir Kosma Zworykin". The National Academies Press. Retrieved January 25, 2018. ↑ The Editors of Encyclopædia Britannica. "Vladimir Zworykin - American Engineer and Inventor". Retrieved January 25, 2018. 1 2 Burns, R. W. (1998). Television: An International History of the Formative Years. The Institute of Electrical Engineers in association with The Science Museum. p. 383. ISBN 978-0-85296-914-4. Retrieved 2010-01-10. ↑ Burns, R. W. (2004). Communications: an international history of the formative years. The Institute of Electrical Engineers. p. 534. ISBN 978-0-86341-327-8. ↑ Webb, Richard C. (2005). Tele-visionaries: the People Behind the Invention of Television. John Wiley and Sons. p. 34. ISBN 978-0-471-71156-8. ↑ Lawrence, Williams L. (June 27, 1933). Human-like eye made by engineers to televise images. 'Iconoscope' converts scenes into electrical energy for radio transmission. Fast as a movie camera. Three million tiny photo cells 'memorize', then pass out pictures. Step to home television. Developed in ten years' work by Dr. V.K. Zworykin, who describes it at Chicago. New York Times article. New York Times. ISBN 978-0-8240-7782-2. Retrieved 2010-01-10. ↑ Zworykin, V. K. (September 1933). The Iconoscope, America's latest television favourite. Wireless World, number 33. p. 197. ISBN 978-0-8240-7782-2. Retrieved 2010-01-12. ↑ Zworykin, V. K. (October 1933). Television with cathode ray tubes. Journal of the IEE, number 73. pp. 437–451. ISBN 978-0-8240-7782-2. 1 2 Abramson, Albert (2003). The history of television, 1942 to 2000. McFarland. p. 18. ISBN 978-0-7864-1220-4. Retrieved 2010-01-10. 1 2 Winston, Brian (1986). Misunderstanding media. Harvard University Press. pp. 60–61. ISBN 978-0-674-57663-6. Retrieved 2010-03-09. 1 2 Winston, Brian (1998). Media technology and society. A history: from the telegraph to the Internet. Routledge. p. 105. ISBN 978-0-415-14230-4. Retrieved 2013-02-09. 1 2 3 4 Alexander, Robert Charles (2000). The inventor of stereo: the life and works of Alan Dower Blumlein. Focal Press. pp. 217–219. ISBN 978-0-240-51628-8. Retrieved 2010-01-10. ↑ Howett, Dicky (2006). Television Innovations: 50 Technological Developments. Kelly Publications. p. 114. ISBN 978-1-903-05322-5. Retrieved 2013-10-10. 1 2 de Vries, M. J.; de Vries, Marc; Cross, Nigel & Grant, Donald P. (1993). Design methodology and relationships with science, Número 71 de NATO ASI series. Springer. p. 222. ISBN 978-0-7923-2191-0. Retrieved 2010-01-15. 1 2 Smith, Harry (July 1953). "Multicon - A new TV camera tube" (PDF). newspaper article. Early Television Foundation and Museum. Retrieved 2013-03-12. ↑ Early Television Museum. "Tv Camera Tubes, German "Super Iconoscope" (1936)". photographic album. Early Television Foundation and Museum. Archived from the original on 2011-06-17. Retrieved 2010-01-15. 1 2 3 Burns, R. W. (2000). The life and times of A D Blumlein. IET. p. 181. ISBN 978-0-85296-773-7. Retrieved 2010-03-05. 1 2 3 Webb, Richard C. (2005). Tele-visionaries: the People Behind the Invention of Television. John Wiley and Sons. p. 65. ISBN 978-0-471-71156-8. ↑ McGee, J.D. (November 1950). A review of some television pick-up tubes. Proceedings of the IEE - Part III: Radio and Communication Engineering, volume 97, issue 50. pp. 380–381. Retrieved 2013-02-21. ↑ McLean, T.P. & Schagen P. (1979). Electronic imaging. Academic Press. p. 46 and 53. ISBN 978-0-12-485050-7. Retrieved 2010-03-10. ↑ "EMI 1947 CPS Emitron tube type 5954". Museum of the Broadcast Television Camera. Retrieved 2013-03-27. 1 2 "Albert Rose: Biography". IEEE Global History Center. ↑ Abramson, Albert, The History of Television, 1942 to 2000, McFarland, 2003, p. 124. ISBN 0-7864-1220-8. ↑ Staff (1997–2000). "Television". Microsoft® Encarta® Online Encyclopedia 2000. Microsoft Corporation. Archived from the original on October 31, 2009. Retrieved 29 June 2012. ↑ Abramson, Albert, The History of Television, 1942 to 2000, McFarland, 2003, pp. 7–8. ISBN 0-7864-1220-8. ↑ Remington Rand Inc., v. U.S., 120 F. Supp. 912, 913 (1944). 1 2 dtic.mil Westinghouse Non-blooming Image Orthicon. ↑ oai.dtic.mil Non-blooming Image Orthicon. ↑ Parker, Sandra (August 12, 2013). "History of the Emmy Statuette". Emmys. Academy of Television Arts and Sciences. Retrieved March 14, 2017. ↑ "Spacecraft Imaging: III. First Voyage into the PDS". The Planetary Society. Retrieved 23 November 2011. ↑ "Landsat 3 Return Beam Vidicon (RBV)". NASA Space Science Data Coordinated Archive. Retrieved July 9, 2017. ↑ Irons, James R.; Taylor, Michael P.; Rocchio, Laura. "Landsat1". Landsat Science. NASA. Retrieved March 25, 2016. ↑ United States Geological Survey (August 9, 2006). "Landsat 2 History". Retrieved January 16, 2007. 1 2 3 "History of Narragansett Imaging". Narragansett Imaging. Narragansett Imaging. 2004. Archived from the original on 17 August 2016. Retrieved 29 June 2012. 1 2 3 "Camera Tubes". Narragansett Imaging. 2004. Archived from the original on 31 May 2016. Retrieved 29 June 2012. 1 2 3 "Plumbicon Broadcast Tubes". Narragansett Imaging. 2004. Archived from the original on 15 July 2016. Retrieved 29 June 2012. 1 2 3 Dhake, A. M. (1999-05-01). TV and Video Engineering. Tata McGraw-Hill Education. ISBN 9780074601051. ↑ Official Gazette of the United States Patent and Trademark Office: Patents. U.S. Department of Commerce, Patent and Trademark Office. 1977. ↑ Csorba, Illes P. (1985). Image tubes. H.W. Sams. ISBN 9780672220234. ↑ "Color Television Achieves Realism". New York Times. September 5, 1940, p. 18. A color 16 mm film was shown; live pick-ups were first demonstrated to the press in 1941. "Columbia Broadcasting Exhibits Color Television". Wall Street Journal. January 10, 1941, p. 4. "CBS Makes Live Pick-up in Color Television Archived October 14, 2007, at the Wayback Machine. ", Radio & Television, April 1941. ↑ Campbell-Swinton, A. A. (1896-06-18). "The Effects of a Strong Magnetic Field upon Electric Discharges in Vacuo". Proceedings of the Royal Society of London. 60: 179–182. doi:10.1098/rspl.1896.0032. JSTOR 115833. ↑ Hans Busch (1926-10-18). "Berechnung der Bahn von Kathodenstrahlen im axialsymmetrischen elektromagnetischen Felde (Calculation of the paths of cathode rays in axial symmetric electromagnetic fields)". Annalen der Physik. 386 (25): 974–993. Bibcode:1926AnP...386..974B. doi:10.1002/andp.19263862507. ↑ Staff (7 October 2002). "Making (some) sense out of sensor sizes". Digital Photography Review. Digital Photography Review. Retrieved 29 June 2012.